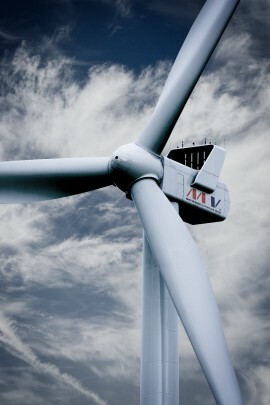 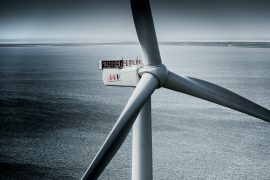 The WindPlus consortium has signed a firm order with MHI Vestas to provide three V164-8.4 MW turbines for the WindFloat Atlantic project situated near the coast of Northern Portugal. 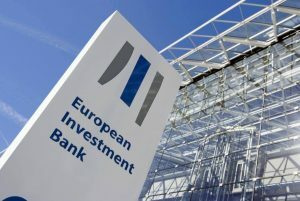 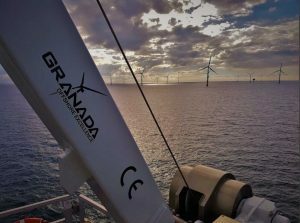 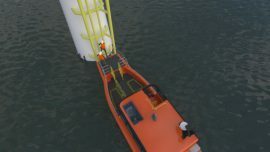 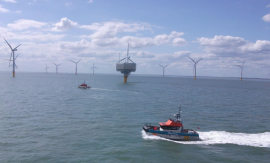 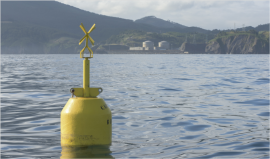 The open sea test platform Biscay Marine Energy Platform (BiMEP) has obtained the permit from the Ministry of the Environment to host floating offshore wind research. 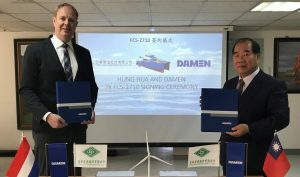 South Korean wind turbine manufacturer Doosan Heavy Industries & Construction has ordered first 5.5MW electrical control systems from Massachusetts-based AMSC. 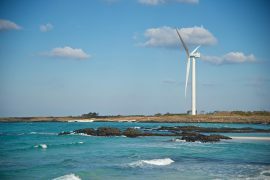 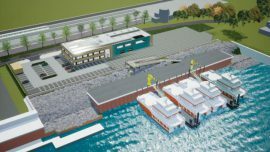 Wpd’s offshore wind farm proposed to be built off the coast of Taiwan’s Yunlin county received an initial approval from Taiwanese Environmental Protection Administration (EPA) in November, according to Taipei Times. 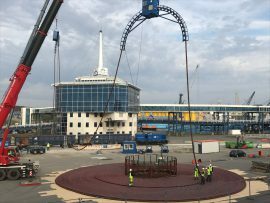 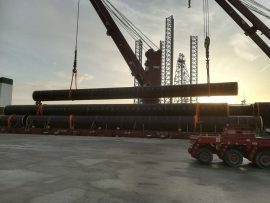 The first piles for the 714MW East Anglia ONE offshore wind farm have arrived at the BOW Terminal in the port of Vlissingen, North Sea. 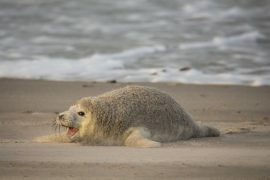 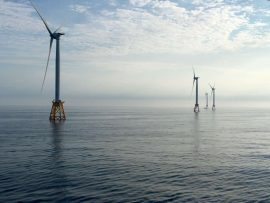 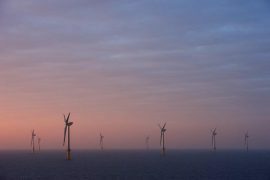 Researchers at the University of Massachusetts Amherst (UMass Amherst) have conducted a study showing that the large majority of the participants support offshore wind off the New England coast. 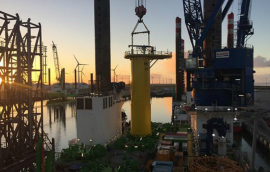 Palfinger Marine has secured a large scale order of 151 cranes in total for Trianel windpark Borkum II, Hohe See and Albatros offshore wind farms located in the German part of the North Sea. 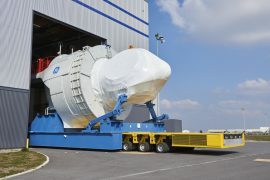 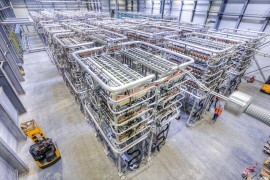 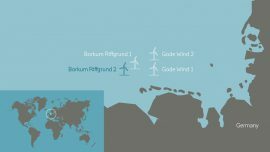 Approximately 76 kilometres of subsea cable for the 385MW Arkona offshore wind farm has arrived to the basis station of Mukran Port on Rugen island. 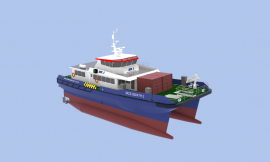 Great Yarmouth-based aluminium workboat builder Alicat Workboats Ltd has signed contracts with Renewable Energy Support Ltd. (RES) for the construction of MCS SWATH 2, a 26-metre Typhoon SWATH crew transfer vessel (CTV). 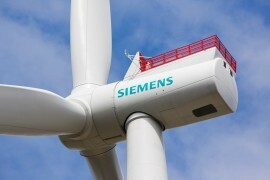 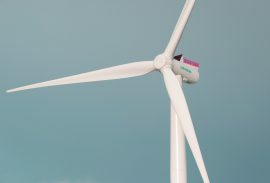 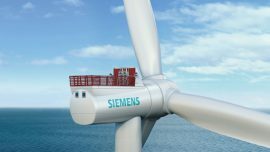 Siemens Wind Power will, for the first time, provide complete offshore wind power plant solutions including foundations, after EnBW placed an order for its 497MW Hohe See project, for which Siemens is partnering with GeoSea, part of the DEME Group.